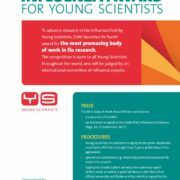 ESWI launches the fourth edition of its Influenza Award for Young Scientists. The most promising body of work in flu research will be awarded a prize of €10,000 and an invitation to lecture at the Sixth ESWI Influenza Conference (Riga, 10-13 September 2017). The competition is open to all young scientists worldwide. Eligibility criteria are listed in this flyer. The Application Form is available here. 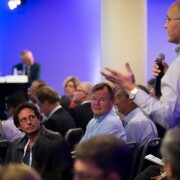 A global influenza meeting was held in Chicago on 24 August 2016, with representation from the three different Summits – the ESWI Science Policy Flu Summit, the APACI Flu Summit, and the US National Adult and Influenza Immunization Summit. The discussion, however, progressed into broader issues of mutual interest that could ultimately improve the control of influenza at the global level. Topics included the notion of harmonising global influenza recommendations (such as they relate to displaced populations, long sporting events, or Haj), improving surveillance, and establishing a Global Repository of Best Practices. It was agreed that there was enormous potential in pursing these objectives, and work will continue behind the scenes to keep the agenda moving.